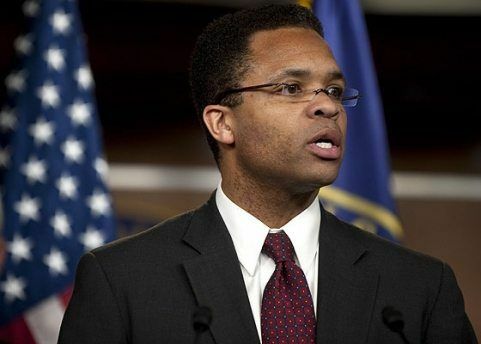 Formal charges against Jesse Jackson Jr. could be filed as soon as Friday and Tuesday at the latest. His plea has also implicated his wife, leading to tax fraud charges against her. (CBS) – Federal prosecutors are now ready to file their plea agreement with Congressman Jesse Jackson Jr., CBS 2 has learned. Jackson’s wife, Sandi, faces legal troubles under the arrangement. The filing at the U.S District Courthouse in Washington will not require a court appearance by either Jackson. Plea agreements will be submitted to the court clerk and assigned to judges, who will set initial court dates. As CBS 2 Chief Correspondent Jay Levine reported last week, Jesse Jackson Jr. will plead guilty to one felony count of misuse of campaign funds and then let a federal judge determine his punishment, which according to the agreement could range from probation to five year in prison. Jackson’s deal calls for him to repay hundreds of thousands of dollars spent for things like travel and meals with a mistress and a $40,000 men’s Rolex watch he bought for himself. Jackson’s resignation from Congress was also part of the deal. But Jackson’s pleading guilty to using campaign funds for personal expenses could expose Sandi, his campaign manager, to tax-fraud charges. The congressman’s guilty plea says Sandi knew about improper purchases that apparently include breakfast snacks, cosmetic services, even beds purchased for campaign workers. Sandi Jackson is expected to accept responsibility for some things because, as the congressman’s campaign manager, she signed the tax returns. Both Jacksons could face penalties ranging from probation to jail time. But it’s hard to believe that, with two young children at home, both would be sent to prison. Chicago attorney Dan Webb is representing Sandi Jackson. It’s my feeling that thay of course share the responabllity since thay were aware of consequences of what thay were doing @ the time. How thay repay the debt is up to the courts in the conditions of the plea deal, but this should serve as a reminder that no public offical is their to serve themselves but the ppl that placed them in a position of representation have every right to hold them accountable for every thing intrusted to them. The Orlando Shooter’s Surprising Words For Black Hostages….